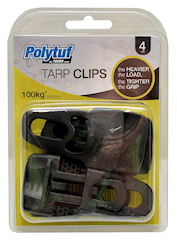 Tarp Clips – 4 Pack. Tough fibreglass reinforced nylon material. Locks firmly onto tarpaulins, signs, banners or covers (up to 5mm in thickness). 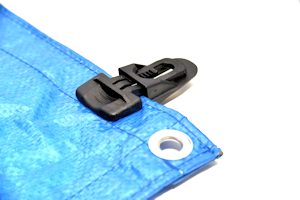 Better than standard eyelets / grommets for the general purpose of attaching tarps, fabrics, non-woven or any sheeting to a bungee, cord or strap. 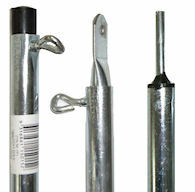 Ideal for securing your tarpaulin, can be used for utes, trailers and canopies. Has the added benefit of adjustability to suit the size of covering required. 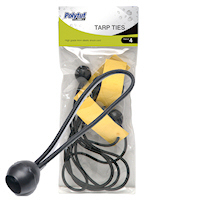 Elastic Ball Ties – 4 Pack. Attach tarpaulins to trailer edges and other securing points . Helps absorb shocks and extend the life of a tarp. 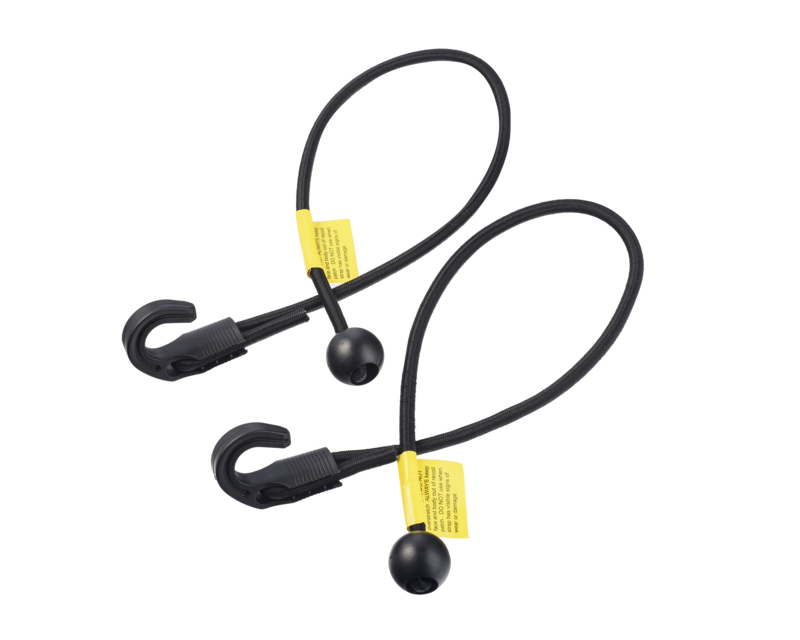 Available with or without trace springs. 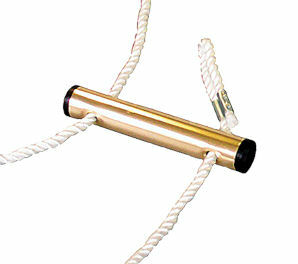 Heavy duty 6mm diameter x 3m long twisted poly rope. Rust resistant aluminium tube runner. Weather resistant zinc plated trace springs. 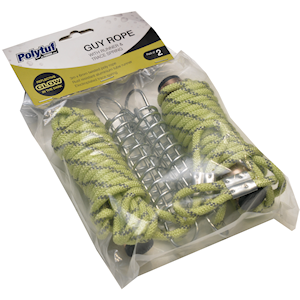 Guy ropes are ideal for securing tarpaulins suspended with telescopic uprights. They can also be used to secure tents, annexes and other shade structures. 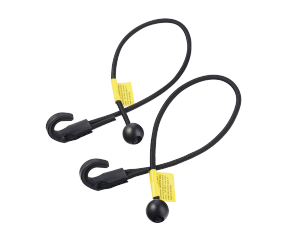 Guy ropes with trace springs act as a shock absorber and can extend the life of the tarp. Glow-In-The-Dark / Reflective Guy Ropes. Never trip over in the dark again! Available with or without trace springs. Heavy duty 6mm diameter x 3m long twisted poly rope that glows in the dark. Incorporates a woven, reflective braid to reflect torchlight. Rust resistant aluminium tube runner. Weather resistant zinc plated trace springs. Fully adjustable up to 2.75m. Weather resistant zinc plated finish. T-nut clamp easily secures extension. Uprights feature plastic cup foot to keep out dirt. 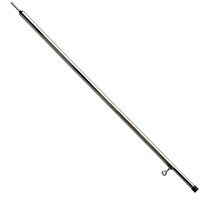 Spreader bars feature flattened ends to allow multiple bars to overlap. Telescopic uprights and spreader bars are designed for suspending tarps and shade structures.